Why Robotic Surgery at P.D.Hinduja Hospital? The world's most advanced integrated robotic system comes together under one roof, offering you state-of-the-art healthcare so that you can get back to living life faster! P. D. Hinduja Hospital is proud to introduce the latest da Vinci Xi Robot supplemented with the 'Motion Table', 'Drop-in Probe Ultra Sound' and 'AirSeal System'. 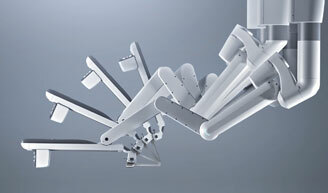 The da Vinci Xi is the world's most advanced robotic surgical system and is regarded as the disruptive innovation of minimally invasive surgery. This revolutionary technology is specifically designed for performing highly sophisticated, multi-quadrant surgery and also relatively simpler single-quadrant surgery, offering a high level of comfort for patients and surgeons alike. The 1st in India, it enables a patient to be dynamically positioned while the surgeon operates so that the surgical body part can be targeted quickly with greater precision and accuracy for better outcomes. Is the world's first 3-in-1 insufflations management system to automatically maintain desired pressure during surgery in the body. 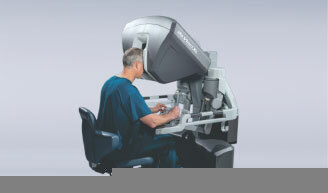 Helps better visibility and precision during surgery which results in best output during surgery.